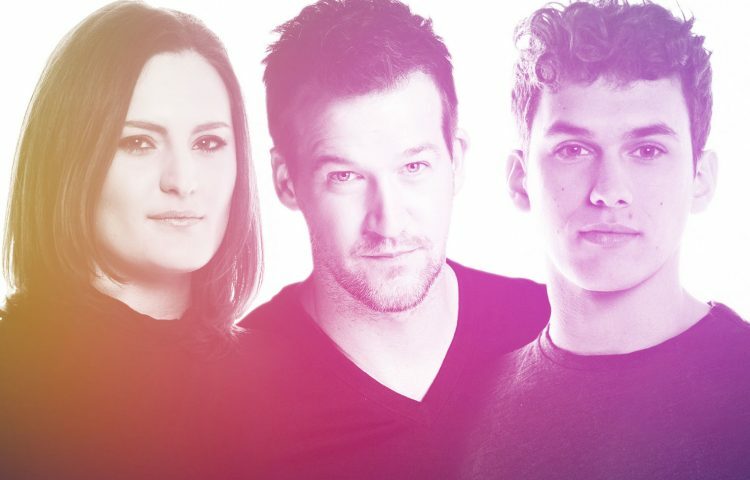 Fresh from filming Star Trek: Discovery in Toronto, stars Mary Chieffo, Kenneth Mitchell and Sam Vartholomeos, along with writers Kirsten Beyer and Ted Sullivan, will descend upon the Las Vegas Star Trek Convention next week. The Star Trek: Discovery cast panel will include Mary Chieffo (L’Rell), Kenneth Mitchell (Kol), and Sam Vartholomeos (Ensign Connor), it will be moderated by Access Hollywood critic (and huge Star Trek fan) Scott Mantz and is scheduled for Wednesday at 3:30 pm. UPDATE 2: Wilson Cruz, who plays Dr. Hugh Culber, will join Chieffo, Mitchell and Vartholomeos in Las Vegas, as announced in a tweet on Tuesday. Prior to the cast panel, the show’s writers, Kirsten Beyer and Ted Sullivan, will discuss the Star Trek: Discovery writers’ room along with the development of the upcoming series with Engage: The Official Star Trek Podcast host Jordan Hoffman at 2:30 pm. With the launch of Discovery just two months away, CBS will have a major presence at this year’s convention in addition to the cast and writers’ panels. Makeup effects masters Glenn Hetrick and Neville Page are scheduled to discuss the design and development of Star Trek: Discovery‘s aliens at 4:30 pm. The panel will be moderated by Ian Spelling. Finally, Kirsten Beyer, Sarah Gaydos, Mike Johnson, David Mack and Ed Schlesinger will discuss the new Star Trek: Discovery novels and comic book series that are slated to debut this fall. The panel will also be moderated by Hoffman and will take place on Wednesday at 5:30 pm. Returning to the Rio All Suites Hotel in Las Vegas for the seventh consecutive year, the Las Vegas Star Trek Convention will span five days — kicking off Wednesday, August 2 and running through Sunday, August 6. For more information about this year’s event, check out our STLV 2017 preview. Star Trek: Discovery cast and crew, including Sonequa Martin-Green (First Officer Michael Turnham), Jason Isaacs (Captain Gabriel Lorca), Doug Jones (Lt. Saru), James Frain (Sarek), Shazad Latif (Kol), Anthony Rapp (Lt. Stamets), and Mary Wiseman (Cadet Tilly), along with producers Gretchen J. Berg, Aaron Harberts, Heather Kadin, Alex Kurtzman and Akiva Goldsman, appeared at San Diego Comic-Con last week. To watch the SDCC panel, where some major revelations were made, click here. TrekNews.net will be in Las Vegas to cover this year’s convention. As we have in previous years, we’ll have all the breaking news and provide exclusive photos from STLV on TrekNews.net. We’ll also be live-tweeting throughout the event. To stay up-to-date, follow @TrekNewsnet on Twitter, TrekNews on Facebook, @TrekNews on Instagram and TrekNewsnet on YouTube.